AS THE NEPHEW AND PROTÉGÉ OF CHICAGO BLUESMAN J.B. HUTTO, THE BLUES IS IN EDWARD WILLIAMS’ BLOOD… literally. 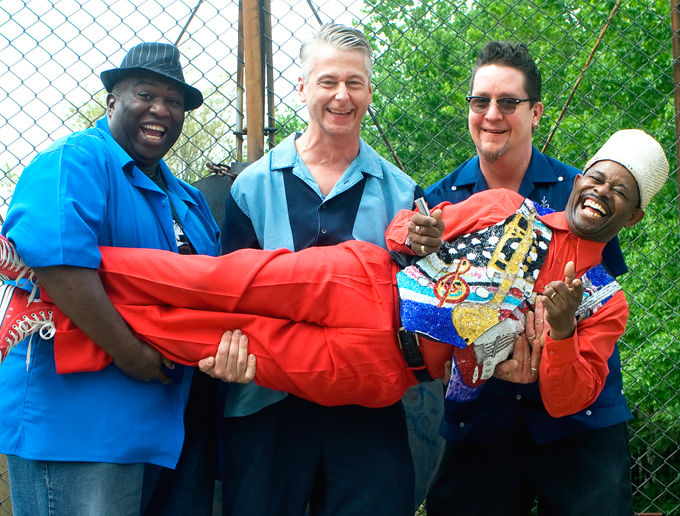 At the center of Alligator Records’ beating heart, Lil’ Ed & The Blues Imperials keep the spirit of the legendary blues label alive with their always-exciting shows and life-affirming albums. Sporting a large fez prominently perched atop his diminutive stature, Ed is a fireball of energy every time he hits the stage. Lil’ Ed and his Blues Imperials have given many scorching performances on the Legendary Rhythm & Blues Cruise over the years. On the first night of a recent sailing that Red Hot Rock Magazine was a part of, Ed also did a spectacular job hosting a cookout on the pool deck, walking around with a huge chef’s hat, yelling “BARBECUE” every minute or so. In a more relaxed setting in one of the ship’s staterooms, we had the opportunity to sit down with Mr. Williams, an extremely polite gentleman and extraordinarily likeable guy, for an extensive interview about his and his fantastic band’s music. RED HOT ROCK MAGAZINE: Hello, sir. Or should I call you Chef Fez or Barbecue Ed? LIL’ ED: Ha ha. I d on’t know about all of that. Well, they call me the barbecue king at my house. RHRM: It looked as if you really were enjoying yourself hosting that barbecue the other night. LE: Oh, yeah. I was having fun. RHRM: We were trying to count how many times you said “barbecue” on the mic. There was no mistaking that there was a barbecue going on. Ha ha. I’m not used to seeing you without the fez. It’s difficult recognizing you. RHRM: The latest album from your band is called The Big Sound Of Lil’ Ed And The Blues Imperials. I have to say that even after listening to your music for some years, it still hit me when I first put on this record how beautiful and brilliant your guitar tone is. Somewhere between BB King and Albert King with a healthy dose of Lil’ Ed thrown in there. You still, somewhat, wear your influences on your sleeve, but with each new album we get to hear more and more of pure Lil’ Ed in there. LE: Mm hmm. Yeah. Right. Because, you know, your ear, you get that ear-focusing thing going on. And I play with my guitar a lot, too. I play with it at home. You know, I’m at home just scramblin’ around, just fiddlin’. And when I turn my amp on, I hear different things. So I grab what I think that’s what I really like. I grab it and I go from there. Speaking of this record, this CD, it came out way better than I expected. Because, actually, what I do is, I lay down the music and then I just grab the guys and then we go into rehearsal. But this time, I laid down all of the tracks. I laid down the bass runs. I laid down the drum patterns. I laid down the rhythm patterns. And I wanted them to simulate what I laid down. Because who knows more about my music than I? And it came out real good. They really accommodated with me and they tried to play it the way I had it. RHRM: And your voice has also continued to mature, taking on the timbre of a wiser, more seasoned communicator. LE: Yeah. It changes. You start to grow. Your voice gets a little deeper and you start learning how to control it. A lot of youngsters don’t know how to control their voice. 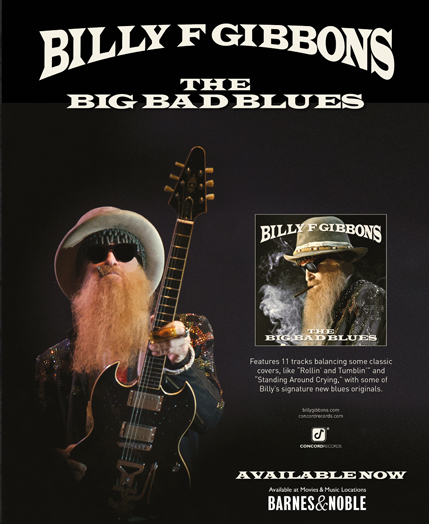 They think the blues is about hollerin’ and screamin’, but it really ain’t. It’s about control. You got to know how to reach those peaks. There’s some peaks that I couldn’t reach that my uncle (J.B. Hutto) would do. And now, every once in a while, I can get ‘em. But it’s only in certain moments. You know, it’s not like I can do it every day. It’s just certain moments, into the music, when I feel him there, I can get that. Yeah. RHRM: It’s nice to have a guiding spirit like that. LE: It’s amazing. It amazes me sometimes. Ha ha. RHRM: And it’s nice that there are all kinds of blues on the album. You love playing it all with your band. There’s smokin’ slow blues, tasty down-home stuff and you really love your shuffles. LE: Ha ha ha. Yeah. I got a little soul in there, a little rock’n’roll. Listening to various artists. I’m a Little Milton fan, somewhat, too. I like the way he carried his words and I like the way he carried a lot of his grooves. So, “Giving Up On Your Love” is in that pattern. And, you know, you start thinking and there’s so many people that you love. But you can’t get ‘em all. You just get a few of them here and there. Yeah. Ha ha! Same thing with Otis. Otis had a lot of his influence. Otis Clay. I used to see Otis a lot. I really enjoyed the way he carried himself onstage. And his music really affected me. I liked that because when I was coming up, that was, kind of, slingin’ around my neighborhood. RHRM: We were speaking of your passion for barbecuing. Staying on that subject, I really like your tune, “I Like My Hot Sauce Cold”. But I have a feeling that the barbecue and hot sauce you are speaking of in that song may be of a different sort than the other night on the cruise. LE: It’s not about that barbecue. RHRM: Ha ha. I didn’t think so. LE: Ha ha ha! But it’s not sexual. It’s actual about barbecue. 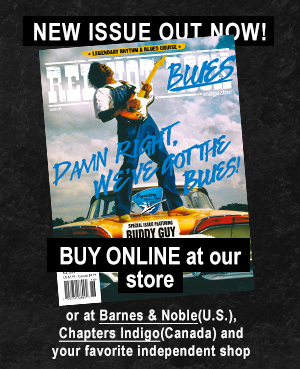 To read the rest of this feature, please order a copy of Red Hot Rock #76 at our online shop.